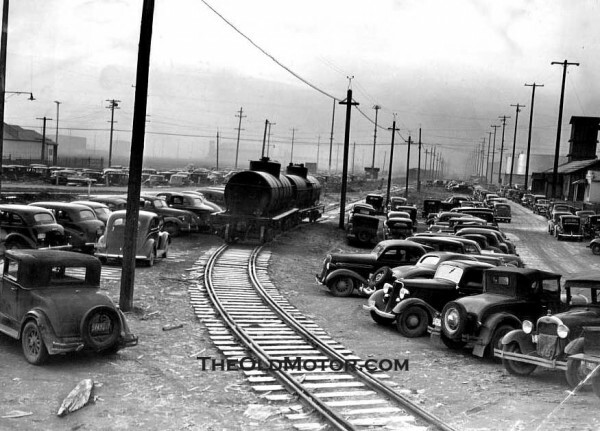 This late 1930s vintage photo, shows us cars parked around the railroad tracks, near ship yards somewhere on the Northwest Coast. The setting gives us a representative view of what was on the road back then, near the end of the Great Depression. One of the the oldest cars appears to be Model A Fords….